Adrian Hendroff is noted for his ascent of all of Ireland's 212 mountains over 2,000ft. 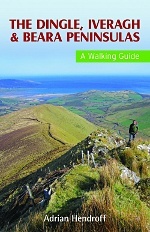 In this book, he has put together a total of 28 walks that take in many of the big peaks spanning across the three main peninsulas in the South-West of Ireland. There are 11 walks described for the Iveragh Peninsula, with 9 of these being convenient to the Kerry Way (with a little support from local B&Bs in some cases). 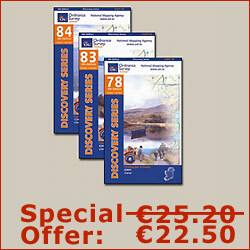 In addition to full-colour photos, a basic map gives an overview for each of the routes but the correct OSI Discovery Series Map is needed when out on the walk itself. 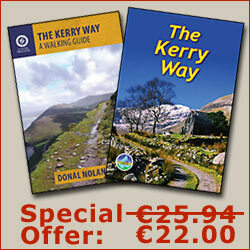 Maps 78 and 83 are required for the walks on the Iveragh Peninsula section of the book. As many of these routes are in remote and rarely visited parts of Kerry, it is essential to have the required map-reading and navigational skills. The routes described do not follow signposted trails.